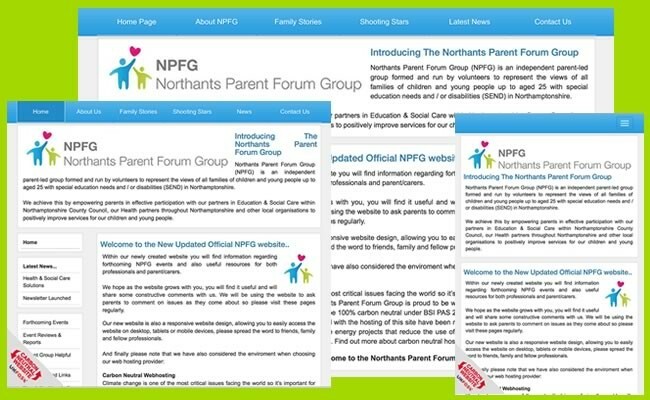 Northants Parent Forum Group (NPFG) is an independent parent-led group formed and run by volunteers to represent the views of all families of children and young people up to aged 25 with special education needs and / or disabilities (SEND) in Northamptonshire. The website's features are highly impressive, the website is a fully mobile compliant responsive website. Other features including an integrated Newsletter and Content Management System.